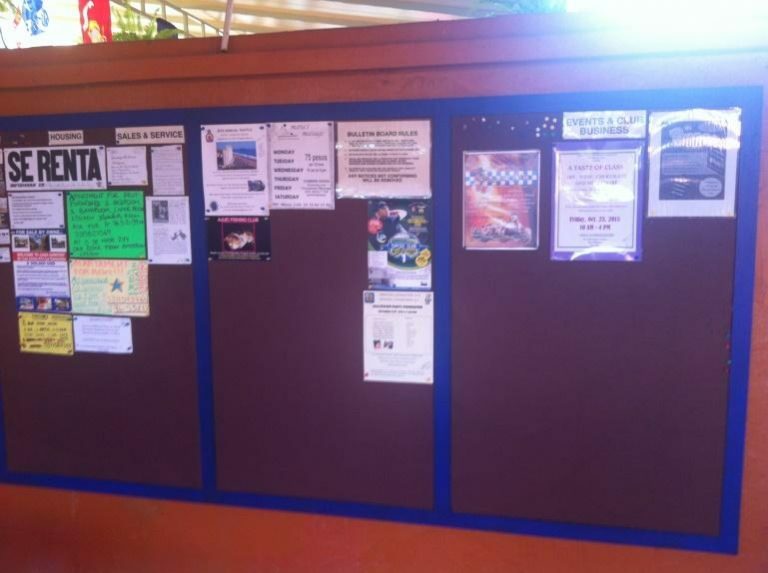 There is a bulletin board at the back of the patio. You can find places for rent, things for sell, services, events and other interesting information on it. Please respect other posts and the posting rules displayed on the message board when placing an advertisement. They must be initialed and dated by a legion officer or the duty officer. 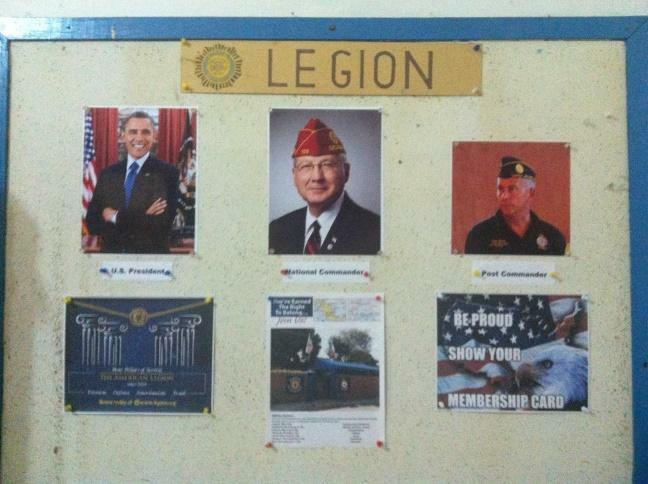 The American Legion and Auxiliary boards in the library area. Can be found in the outside smoking area. Is located in the dining area. 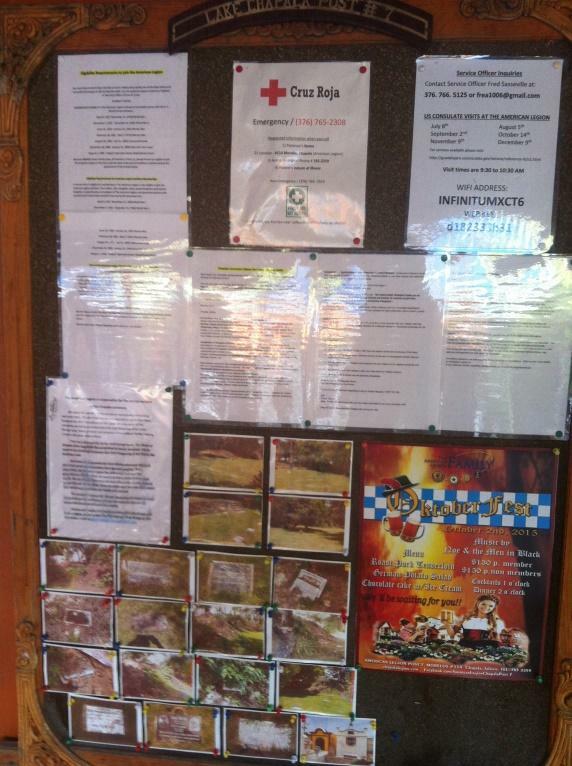 There is a lot of good information on all of the boards located in various places at the Legion. 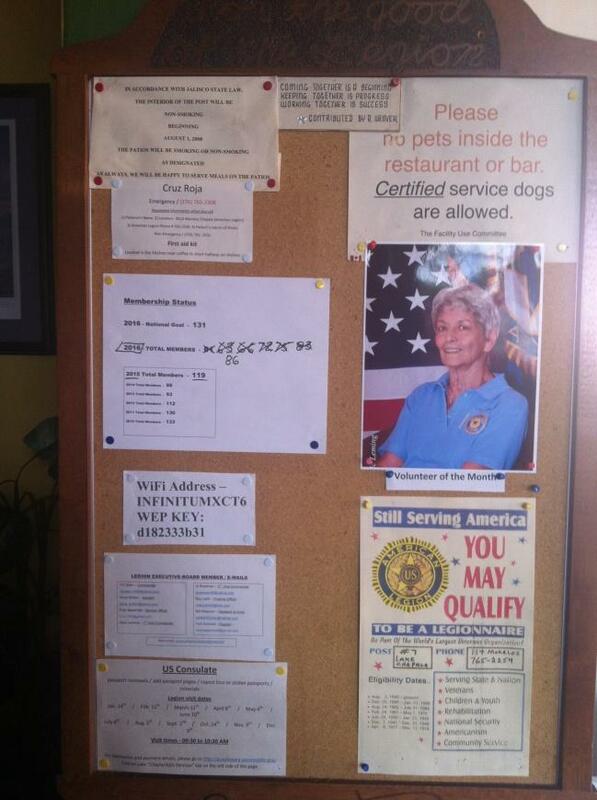 Consulate visit dates, status of the Legion’s membership, employee and volunteer of the month, Post Officers, WIFI info, VA benefits, and more. You should check them out on your Legion visits, they are always changing.